Former Super Eagles coach Samson Siasia has tipped the Flying Eagles led by coach Paul Aigbogun to actually come good in the Niger Republic, as they battle South Africa today at the ongoing u20 AFCON which commenced over the weekend. 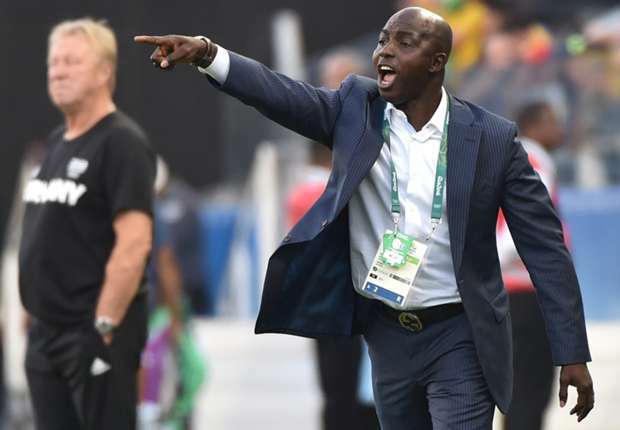 Siasia, speaking with brila.net stated that the team would surely know how to improve on their game after the group stages, having won Burundi 2-0 in their opening match, as the technical crew will know where to improve on in the team. Meanwhile, Super Eagle goalie, Ikechukwu Ezenwa has revealed that he can still have a glorious career like former shot-stopper of the Eagles, Vincent Enyeama, as all he needs to do is make sure he grabs his opportunity when called upon in the Eagles. In a chat with brila.net, Ezenwa revealed that Enyeama has really affected his career as he learned so much from the former national team captain when he just joined the team.